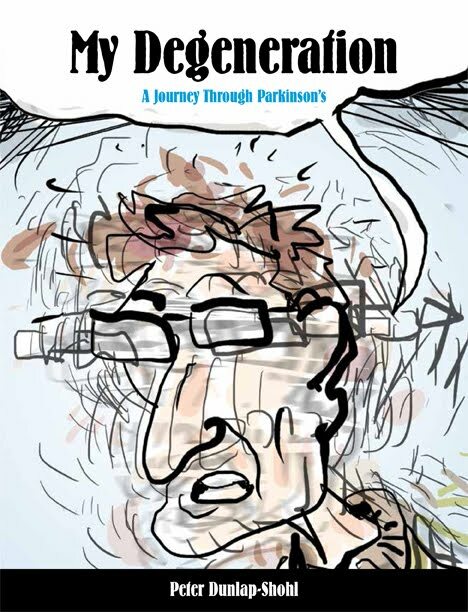 Off and On: The Alaska Parkinson's Rag: Can Comics Enhance the Practice of Medicine? A study using "My Degeneration, a Journey Through Parkinson's suggests "Yes"
Can Comics Enhance the Practice of Medicine? A study using "My Degeneration, a Journey Through Parkinson's suggests "Yes"
This past summer, I attended a conference on "Graphic Medicine" an area of the medical humanities that considers the intersection of comics and medicine. It's a discipline that rests on the assumption that through creating and reading comics, patients, doctors, nurses and others involved with the health care system can come to a better understanding of what they are doing, and the effects it has on outcomes. This should result in better care. But can a better understanding of delivering care for complex medical issues result from reading... um, ... comics? That's what Dr Michael Green and a team of researchers from Penn State University aimed to find out. 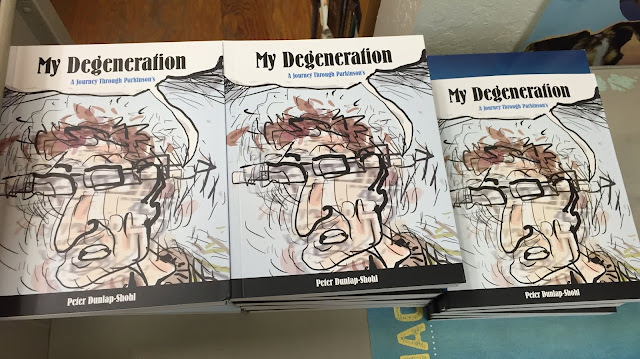 And, in a high-stakes move for me, they chose my book-length-comic memoir "My Degeneration, a Journey Through Parkinson's" as the test subject of their- study. Pressure? What pressure? Nothing at stake here. Just the legitimacy of the work being done by the excited and enthusiastic attendees of the conference. Many of whom were assembled in the Dartmouth College classroom where the team was unveiling their results. I could imagine the wrath that would be turned on me by the classroom full of Graphic Medicine practitioners, fans and publishers (including my editor) if the book failed to deliver on the mission. Because I'm a comics creator, that imagining took on a downright operatic exaggeration of tragedy and pathos that I did not look forward to experiencing in real life, featuring me in the role of comics martyr. So I made a mental note about location of the nearest exits, and braced myself. The presentation began with a statement of the study question "Does reading the book help health care providers better understand the lived experience of patients with Parkinson's Disease? Subjects were recruited, given a copy of the book, filled out a questionnaire, reconvened for a discussion four weeks later and filled out the questionnaires again, prior to the discussion. 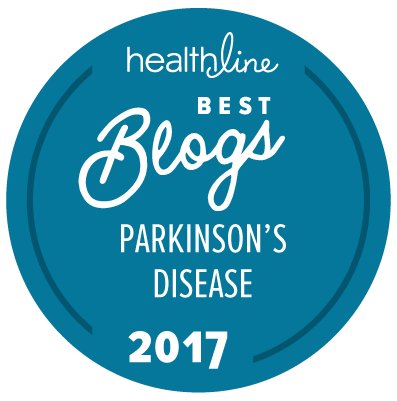 • understand the stigma that people with Parkinson's Disease experience? 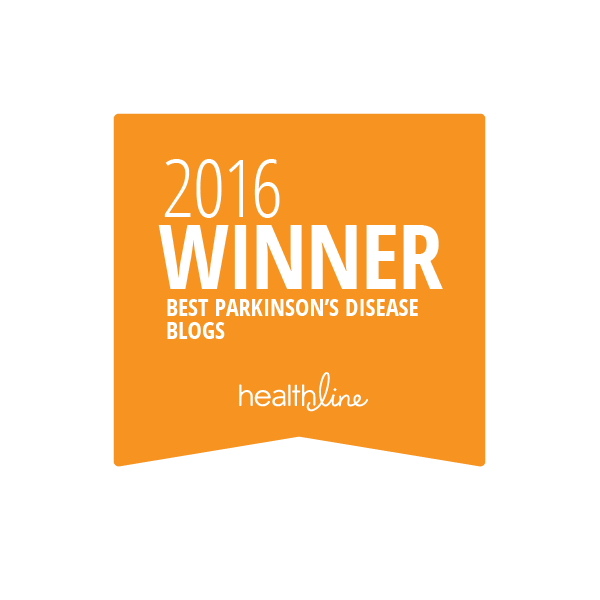 •understand what it's like for a patient to live with Parkinson's Disease? 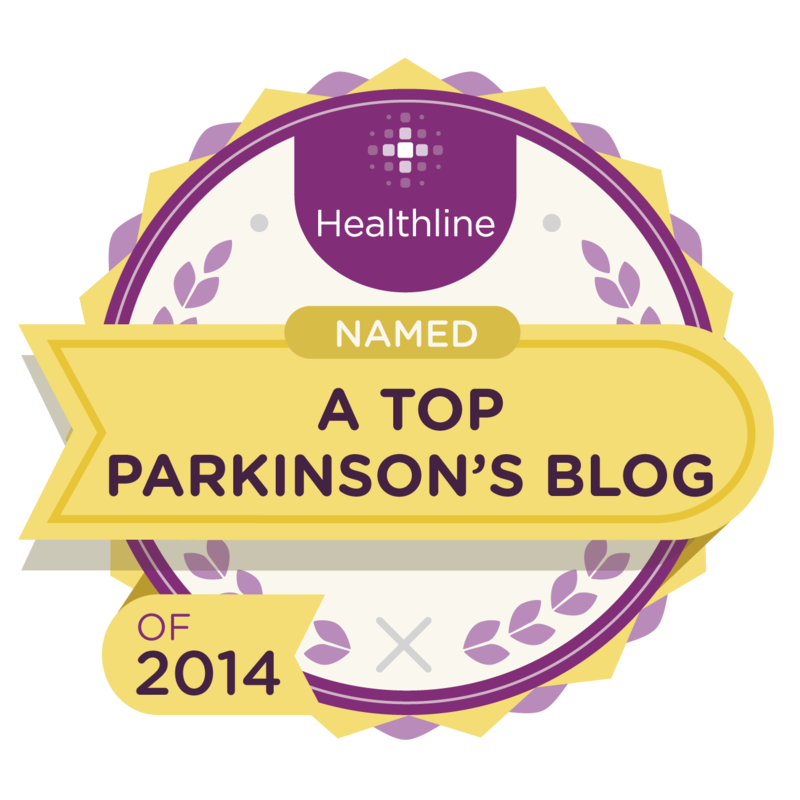 •help patients cope with PD?" all went up between 10 and 17 points! In addition, their experience with "My Degeneration" left them with enhanced esteem for comics. Participants views shifted positively when choosing between attributes such as "valuable" and "worthless", "good" and "bad" and, my favorite, "smart" and "stupid"to describe comics. 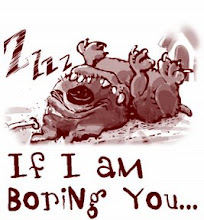 No words minced there! I'm grateful to the researchers for taking the comics seriously, and for selecting my book as a test-case for study. I look forward to hearing about the further research they have planned to be focused on how patients respond to the book.